This year’s International Day of Persons with Disabilities theme was ‘Transformation towards sustainable and resilient society for all’. The overarching principle of this theme is to ‘leave no one behind’, and to empower people with a disability to be active contributors to society. 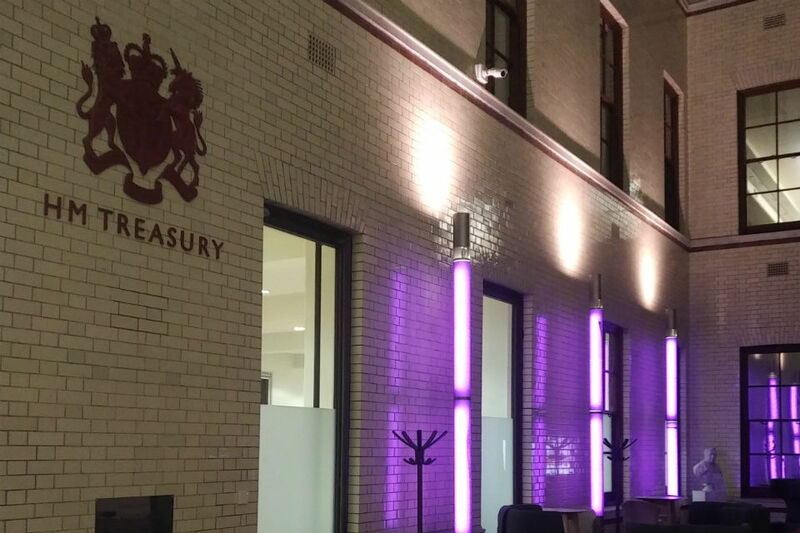 To mark this year’s event, Purple Space, a leading Disability Networking organisation, called on organisations to create a ‘Purple Light Up’ to celebrate the economic and leadership contribution of disabled employees. 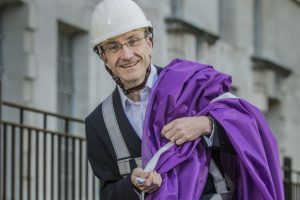 In recent years, the colour purple has been increasingly associated with disability, symbolising a new positive narrative about the contribution of disabled people in the workforce and the wider community. Just as the rainbow flag has created a new conversation and increasingly vibrant LGBT movement, the use of the colour purple can help in the effort to build communities, challenge outdated perceptions and prejudices and inspire others. This is evidenced in how we increasingly hear the term “purple pound”, in the same way as the “grey pound” denotes the spending power of older consumers and “pink pound” denotes the spending power of people from the LGBT+ community. International Day of Persons with Disability and initiatives such as Purple Light Up provide an opportunity for organisations such as the Civil Service to put a spotlight on disability inclusion, share best practice stories and develop an understanding of the contribution of disabled colleagues. Work & Pensions, which encouraged staff to wear the colour purple. Innovative ideas such as these can be simple and low-cost, while highly effective in communicating key messages. It would be great to hear about the many other initiatives that took place across the Civil Service to mark the week of International Day of Persons with Disabilities. If anyone has undertaken activities in their business area and would like to share these, please email disability.inclusion@cabinetoffice.gov.uk or post a comment. 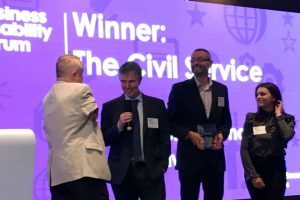 Finally, congratulations to the Civil Service for winning the 2017 Business Disability Forum Disability-smart Award for ‘Positive cultural change of the Year’. These awards are given to organisations that demonstrate an outstanding commitment to employing, working with and doing business with disabled people. The judges acknowledged the concerted efforts to create a more open and supportive culture around disability and mental health. I fully recognise that we have merely started on our journey and still have much more to do to achieve our vision of a fully disability-inclusive Civil Service. However, it is pleasing to receive this external recognition that we are making progress. Hopefully this time next year we can all see an improved and revamped sick leave policy. I have in mind extra days off for people who are suffering from stress, anxiety and depression or simply just exhausted from dealing with their disabilities and need a day or so away from work to regroup and recharge the batteries. This can be used if annual leave and the sick leave options have been exhausted. I had in mind say an additional three days a year. That would be a great show of commitment and support to our disabled members of staff in the workplace. If this is appropriate for your disability, there are mechanisms to do something that would enable this already through reasonable adjustments policy - either by having an agreed adjustment to trigger points for sickness which means some days are discounted when it comes to absence management processes or disability adjustment leave for planned time off for treatment related to your disability or a combination of those. Workplace Adjustment Passports are there to be used and they are not just for physical adjustments, but you can also include adjustments related to ways-of-working or policy too. 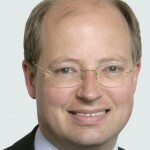 It may also be appropriate for someone with a fluctuating condition to have an agreed adjustment in place which allows someone with a disability more flexibility with their flexi balance, which could allow them to go into a larger deficit balance when unwell and needing some extra time off to manage their condition or to build up a larger excess balance when they are well to offset the more difficult weeks. I have two quite serious fluctuating conditions and manage my health primarily through my flexi balance. I can prevent time off sick by working less and resting more when I'm unwell. I would also say Cabinet Office sickness policy is less strict than many other departments, so I don't think it's unreasonable to manage most conditions within these parameters, alongside the other adjustments measures that can be put in place. I totally agree I struggle on daily basis and basically unable to do much at the weekends as I totally worn out especially in the winter as the cold greatly increases the amount of pain I'm in. Hanging a few purple flags up does not show commitment to improving the working environment for disabled people. Its actions that count. As a wheelchair user I would like to see all offices being fully accessible, not being restricted to working on certain floors because there are no EVAC trained staff in the building. Have the contribution of disabled staff recognised by equal promotion opportunities. The civil service should be a role model for all other employers, not playing catch up, it truly has a long way to go. Well said, Andrea. Emergency evacuation is important, but the standard policy of named buddies simply isn't practical, particularly in a world of flexible working. I want to have the same opportunity to network in person with colleagues on other floors - this is an important part of building effective relationships and getting the job done. Being forced to work on the ground floor or at home because a building isn't fully accessible and you can't guarantee a trained buddy on the floor isn't inclusion. The fact that we can work from home, if we need to, is a great thing - it just isn't right for everyone. Amy, thanks for your comments about the impact of building accessibility restrictions on networking for wheelchair users who are required to be based on the Ground Floor or work from home. These chime with Andrea’s previous points. As with Andrea, I would be happy to look into your specific case if you send me your contact details. Andrea, thanks for your comments and for highlighting the issue of building accessibility for wheelchair users. The intention behind International Day for Disabled Persons and the various purple initiatives is to raise awareness of the importance of disability inclusion. You are absolutely right that this needs to be backed up by action, which is why I have previously published my key disability priorities and regularly share details of the actions that we are taking. If you would like to email me at disability.inclusion@cabinetoffice.gov.uk with details of your specific issues concerning building accessibility and lack of EVAC trained staff, I will look into this. I couldn't agree more Charlotte. I recently posted similar after the People Survey results. I also highlighted the fact that, after the PMR results (for the previous 5 years) were issued earlier this year on the Intranet, that the two groups with the most "Needs Improvement" were those with a Disability and those 55+. I'm also the Disabilities Officer for our local PCS Branch and we have/have had many Personal Cases regarding the heavy handed implementation in some areas of the Attendance Management Procedures. Indeed. This really needs to be tackled head on, with compulsory training for all mangerial staff on managing attendance, equality issues and legislation. And this training needs to done twice a year ideally to keep everyone abreast of any legal changes. Especially post Brexit when appeals stop at the supreme court in the UK and not in the European Court of Human Rights as is permissible now. Charlotte, thanks for your comments on training for managerial staff. We will feed these into the focus group discussions. Dom, thanks for your comments. As you may be aware, we have introduced a new Performance Management Framework this year, which allows individual department’s greater flexibility to tailor their approach. We will be actively monitoring this to ensure that no particular group is adversely impacted. We are running focus groups to engage line managers on what action we need to take to support them in embracing disability inclusive behaviours. This will cover all elements of being a disability confident line manager, including appropriate application of Attendance Management policies. Oh disability adjustment passports - such a wonderful idea, sadly often ignored or misinterpreted when push comes to shove. The more I experience life as a disabled employee in HMRC the conclusion I come to is that more cases will need to go to tribunal in order to align the progressive messages that come from the centre with the current reality, where actions so often don't match up with the 'soothing' words. Margaret, thanks for your comments. It is really disappointing that you feel workplace adjustment passports are often ignored and that more cases will need to reach tribunal stage to change progressive messages into action. I would encourage anyone experiencing difficulties in obtaining a passport to contact their Department Workplace Adjustment Team and, if they are still not satisfied, to access the Central Workplace Adjustment Service review route. Sadly the current attendance policy and it's implementation to those with fluctuating and invisible disabilities needs to be reviewed. Plus the training given to Line Managers by HR Personnel. I received a first stage warning for being off with depression after an unexpected family bereavement because my bereavement absence was counted on my sick record apparently from advice given to my LM from HR. Regardless of the fact my trigger points had been increased due to my disability, the bereavement pushed me over the limit. There's a lot of talk about supporting those with mental illness but when it comes down to the crux the policy is adhered to whatever the circumstances. My disability absence is always counted on my sick, and consequently there are many occasions where I've had to use my annual leave for hospital appointments and when I'm unwell rather than have it recorded. Plus my Workplace Adjustment Passport seems to be more to record what equipment I have rather than the reasonable adjustments to help keep me in work. My LM tries to help as much as possible but still has to adhere to LR policy. Thank you Philip for your continued support as the Civil Service Disability Champion and for promoting International Day of Persons with a Disability. 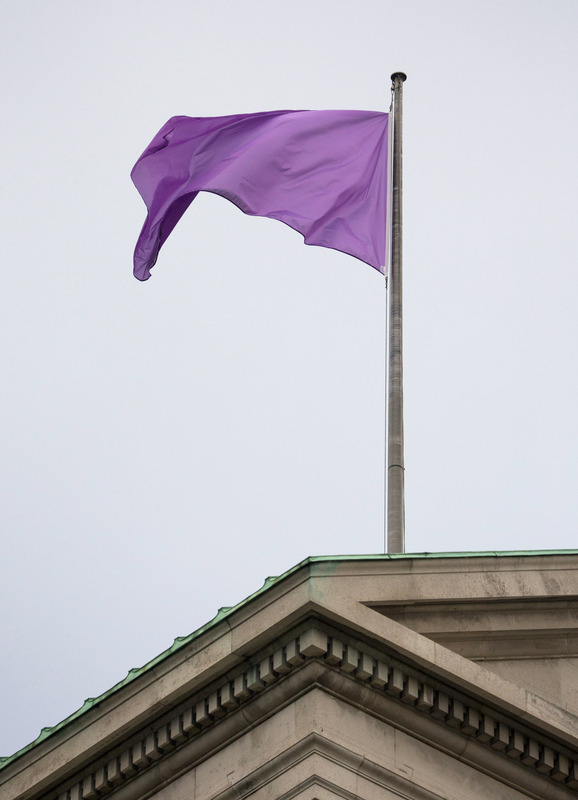 I would agree with you that the flying of the Purple flag seeks to provide visibility of our support of this initiative and also helps to create a better level of awareness and understanding. We should celebrate how far we have come and what we have managed to achieve to make the workplace a more inclusive environment. We should of course also acknowledge that there is still much that needs to be done in regards to accessibility, the implementation of reasonable adjustments, equality and respect, etc. In some places both in the UK and Overseas, I appreciate that this is still a challenge but I am confident that with initiatives like this and the great work that the various Staff Associations do, we will eventually achieve change. I am currently working in Istanbul having arrived here a few months ago. My previous posting to Istanbul was approx 16 years ago and I have to say that I have seen a significant change in regards of accessibility to a number of major buildings and in particular in the Shopping Malls. I accept that there is still challenges such as high and narrow pavements, uneven surfaces, but I have seen people with various disabilities being able to get around much of the city with a greater degree of mobility. I was also talking yesterday evening with Maggie Moore who is the wife of our outgoing HM Ambassador to Turkey. During their time here in Turkey, Maggie who despite the fact is partially sighted and has a wonderful Guide Dog called Star, has done fantastic work in helping to set up the Training of Guide Dogs in Turkey. As they prepare to leave the country, Maggie can be proud that two dogs have been successfully completed their training and have been paired with an Owner and others Puppies are now going through their paces. I hope that you would agree that this is a great example of someone who has sought to transform the lives of others and ensure that they are not being left behind. So nothing is impossible if we all help to support #Purplespace. Gavin, thanks again for taking the time to share your thoughts. It is great to hear of the work that is taking place in Istanbul to improve accessibility and of the legacy left by Maggie Moore, wife of the outgoing HM Ambassador to Turkey, in setting up Training Guide Dogs in Turkey. It is the cumulative impact of individual initiatives such as these that make a real difference, and it is why we should all celebrate events such as the International Day of Persons with Disabilities.